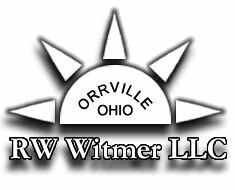 RW Witmer LLC had its origin decades ago when founder and current president Robert N. Witmer demonstrated an early tendency to fabricate various useful items for applications in homes, agriculture, and at several non-profit community centers where he was employed for thirty-five years. His first commercial venture was launched in June of 1994 at a family outing on the east coast when he realized the need for a durable, non-rusting polymer auger to fasten beach umbrellas into the sand. His Sport Anchor version was subsequently designed, placed on the U.S. market in 1995, and managed by wife Waunita Witmer. As sales grew, the enterprise was incorporated in March of 2000. A second product was developed in 2001 as Robert noted the tendency for daily newspapers to become damp in the familiar plastic holders which line the rural countryside. A clear, flexible vinyl flap and clip was designed to seal out the weather elements and reduce the need for the carrier to insert each newspaper in a protective plastic bag. This item is currently being distributed through a national newspaper supply company. A third product was initially designed for the extended Witmer family, who are long-time users of natural peanut butter. Robert particularly worked closely with the patriarch of the family, Daniel A. Witmer, grandfather of twenty-eight, to refine a useful device to mix the separated oils that naturally occur in non-hydrogenated peanut butter. As a tribute to his love of mechanical innovations, hard work, and involvement in this project, the consumer item was named “Grandpa Witmer’s” Old Fashioned Peanut Butter Mixer, and is sold through RW Witmer LLC. It is the desire of the Witmer Company to continue providing innovative, affordable consumer items that help to address common problems with simple solutions. We sincerely hope you will be pleased with our products and services. © 2003 Witmer Products Inc. All rights reserved.